Mennonite Church, Norden, Ostfriesland, Germany. Norden is a city (population 16,800 in the 1950s, 25,000 in 2005) in East Friesland, Germany, in the (formerly Prussian) district of Aurich (coordinates: 53.596667, 7.205556 [53° 35′ 48″ N, 7° 12′ 20″ E]). It has been the seat of a Mennonite congregation since the second half of the 16th century. The publications of J. P. Müller and Jan ten Doornkaat Koolman give much information on the history of the Norden congregation, which once occupied a leading place among the Mennonites. Since Anna, regent of East Friesland in 1528-1540, offered protection to all victims of religious persecution, Mennonite refugees from Holland settled in the town of Emden about 1530; Menno Simons also came about 1542 and preached there until 1545. Leenaert Bouwens visited Norden three or four times in 1563-1565, baptizing 15 persons, and about 1575 two more. In that time, or even earlier, congregations were formed in Emden, Aurich, Leer, and Norden, which were not seriously disturbed until the Thirty Years' War and which were given many concessions by the government. Under Enno III, 1599-1625, when the center of Mennonitism in East Friesland moved from Emden to Norden, the Lutheran clergy began to use their influence upon the authorities to have the Mennonite worship services suppressed, who were accustomed to gather "when the church bells rang and Christian sermons were delivered and thus drew many simple Christians to themselves." The count was persuaded to announce a mandate on 21 November 1612 against the open preaching of Mennonite doctrine. After many years of effort on the part of the Mennonites the count consented to permit the 400 Mennonites living in the principality the free exercise of their religion for ten years in return for a fee of 12,000 Talers; but the services were not permitted to be held publicly. During the Thirty Years' War, when deep misery passed over the country, the attitude toward the Mennonites underwent a change. Enno's son Rudolf Christian (1625-1628) issued a letter of protection on 26 May 1626, for which an annual payment of six Talers was to be made by each Mennonite family. By the end of the war there were 60 Mennonite families in Norden, who were divided into two branches after the beginning of the 17th century—the moderate Waterlanders, and the rigidly traditional Groningen Old Flemish. The division was due less to matters of faith than to differences of opinion, especially on matters of dress. After the coming of Uko Walles, a peasant with an unusual gift of oratory who belonged to the stricter branch of the Old Flemish and had a great following in Norden after 1633, the clergy of Norden again raised complaints and demanded the expulsion of Uko, but were not successful; instead, Ulrich II gave the Old Flemish a special letter of protection on 26 November 1635. Because the Mennonites refused to give up the letter of protection when Christine Charlotte assumed the government as princess in 1665, she issued a mandate on 20 June 1666 forbidding them to hold worship services, and threatening expulsion from the country in case of transgression; but the mandate was not enforced. On the contrary, on 7 December 1666, the Old Flemish received their letter of protection upon payment of 400 Talers, and the Waterlanders upon payment of 800 Talers; these were renewed on 19 December 1690 by Prince Christian Eberhard, 1690-1708, in return for a large sum of money. A petition made by the Mennonites to Prince George Albrecht on 22 January 1709 for permission to admit persons of other churches into the Mennonite brotherhood was refused with the comment that they could hope for such a privilege only if they gave him a gift of 3,000 Talers. In this negotiation the government official explained in defense of the Mennonites that they were much less wealthy than formerly, for the richest had joined the Lutherans, other wealthy ones had died, and the Mennonites were heavily burdened with large families; but on the other hand, they made themselves of use everywhere and were of benefit to the country. On 10 April 1709, the Old Flemish, and on 16 April the Waterlanders, received their letters of protection upon payment of the stipulated sum. From 1723 on, the center of the brotherhood in East Friesland was gradually transferred from Norden to Leer. The Old Flemish congregations of Emden and Norden in the 17th century seem to have been served by the same minister. In 1715 the two congregations separated, and henceforth each had its own minister. The last prince of East Friesland, Carl Edzard, 1734-1744, was friendly toward the Mennonites. The letter of protection of 30 May 1738 shows understanding of both wings. In 1739 the Mennonites were ordered to keep a record of births. Marriages could be performed by the Mennonite preachers, but had to be registered with the pastor of the established church. On 14 October 1739 the Mennonites were ordered to keep church records. After the death of Carl Edzard, East Friesland passed to Prussia on 19 August 1744. For a new letter of protection the Mennonites in Norden and Leer were required to pay 1800 Talers. King Frederick William also gave them a letter in return for a payment of 900 Talers. The Waterlanders in Norden had a church and a parsonage, as well as an almshouse on the west side of the square. The Old Flemish met for worship in a leased house. When they were notified that the lease could not be renewed, they reached an agreement with the Waterlanders to use their church when the home congregation was not using it. 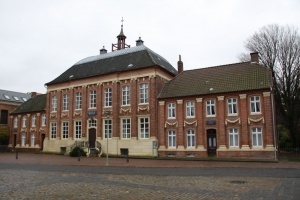 On 13 April 1780 the Old Flemish congregation, which had a membership of 56 besides 49 children, united with the Waterlanders, so that there was in Norden, as there had been for some time in Emden and Leer, a single united congregation, which adopted a constitution on 29 June 1793. Ministers of the Old Flemish congregation in 1715 were Cornelis Eppes and Claes Folkerts. Gerrit Hilbrantsz served until about 1740, Heert Cornelisz (d. 1761) 1721-ca. 1755, Job Abrahamsz 1732-d. 1767, Jan Warners 1733-ca. 1754, Rijke Jansz 1755-ca. 1768, Harmen Allertsz (Alless) Kremer 1755-ca. 1768. All these ministers had been chosen out of the congregation. The following three ministers, though still untrained, were called in: Nolle Abeles Venema, serving 1768-1775, Hendrik J. Blaauw 1775-1776, and Daniel Rieken (Ricken), a Swiss Mennonite, 1777- d. 1779. Concerning the Waterlander congregation the list is not complete: preachers in 1690 were Jan Oom Hendriks (Jan Hendriks Bakker), Jannes Abrams, and Pieter van Geuns. Pieter van Geuns served this congregation from before 1690 until 1740, and Marcus Arisz 1741-1785. The Lutheran clergy continued to interfere in the internal affairs of the Mennonites in Norden and to secure financial advantages for themselves. On 19 May 1795 they presented a long letter of complaint to Frederick William II of Prussia, chiefly on the ground that the Mennonites were having their own preachers deliver their funeral sermons, instead of calling in a Lutheran clergyman and paying him a louis d'or. On 5 August 1795 the king's decision rejected all the points in the Lutheran complaint. The Mennonites were now seriously planning to replace their old church, which looked more like a barn than a church, with a more suitable edifice. A house was bought, remodeled, and furnished with an organ. Services were conducted in Dutch until 1885. Until then the Amsterdam Mennonite hymnal was also used; after 1885 the hymnbook of the Reformed Church in East Friesland was adopted. In 1802 the Lutherans attempted to require contributions from Mennonites for repair of Lutheran churches. The Mennonites refused, saying that they did not use the Lutheran churches and that they had built their own without Lutheran assistance. The Lutherans replied that the Mennonites had after all used Lutheran services, such as visits to the sick, funeral sermons, etc., and had used the Lutheran church bell for their funerals. Again the Lutheran demands were rejected. In 1826 there was again some difficulty when the Mennonites and Reformed were required to contribute toward the Lutheran almshouse, although they were supporting their own poor. This problem was solved by giving Mennonites and Reformed permission to make use of the Lutheran almshouses. When the new constitution for Hannover was to be drafted, the Mennonites of Norden presented a petition for equal recognition with other denominations (June 1831). It was refused. But in 1848, in view of the political movements in Germany, which among other things granted equal status to all creeds, a law was passed making civil rights independent of church affiliation. The membership of the Norden congregation has steadily declined. In the Waterlander congregation 208 took communion in 1698; 116 in 1737. The membership of the Old Flemish church in 1715 numbered about 70 baptized members, 51 in 1733, 56 in 1769 after it had merged with the small congregation of Krummhorn, a few years previously. At the merger the baptized membership of the united congregation was 140; in 1890, 104 and 92 children; in 1940 this number had decreased to 68 and 12 children; in 1955 the number was 125. After the merger the united congregation at first was served by the preacher of the former Waterlander congregation, Marcus Arisz, who served until 1785. Other ministers serving here were Hendrik Bavink 1781-1786, Arend van Gelder 1785-1795, Dirk Huizinga 1802-1809, Jan van Hulst 1809-1844, Johannes Pol 1847-1884, L. Hesta 1884-1889, and C. A. Leendertz 1889-1931. In 1934 Abraham Fast, pastor of Emden, took upon himself the charge to serve also in Norden. In 1957 he was succeeded by his son Heinold Fast. Formerly there were many contacts between the congregations of Norden, both the Old Flemish and the Waterlander, and Holland. In 1681 Galenus Abrahamsz, the minister of the Amsterdam Lamist congregation, was called to Norden to settle a quarrel in the Waterlander congregation. In the following years this congregation was several times financially supported by Amsterdam for the salary of its preachers. In 1686 and again in 1718 both congregations, having been struck in previous years by severe floods, received aid from the Dutch congregations. Johannes Deknatel, the pietistic minister of Amsterdam, was a native of Norden. It was Deknatel who trained the Norden preacher Marcus Arisz for the ministry. Both Arisz (1719-1785), a native from Amsterdam, and his wife Catharina Leeuw of Haarlem, were influenced by Deknatel and friends of the Moravian Brethren, which caused some conflicts in the Norden congregation. Among the outstanding Mennonite families of Norden are Cremer (Antje Cremer ten Doornkaat, married to Isaak Brons, was born in Norden), Brouwer (Brouer), ten Doornkaat, and Stroman. Cate, Steven Blaupot ten. Geschiedenis der Doopsgezinden in Groningen, Overijssel en Oost-Friesland, 2 vols. Leeuwarden: W. Eekhoff en J. B. Wolters, 1842: v. I, 226 f.
Doopsgezinde Bijdragen (1862): 152; (1863): 102; (1875): 54; (1879): 8. Doopsgezind Jaarboekje (1840): 45 f., 57; (1850): 63. Doornkaat Koolman, Jan ten. Kurze Mitteilungen aus der Geschichte der Mennoniten-Gemeinden in Ostfriesland im allgemeinen und der Norder Gemeinde im besonderen, bis zum Jahre 1797 : verfasst und den jetzigen Gemeindemitgliedern gewidmet. Norden: J. ten Doornkaat Koolman?, 1903. Doornkaat Koolman, Jan ten.Mitteilungen aus der Geschichte der Mennoniten-Gemeinde zu Norden im 19. Jahrhundert. Norden: J. ten Doornkaat Koolman?, 1904. Hege, Christian and Christian Neff. Mennonitisches Lexikon, 4 vols. Frankfurt & Weierhof: Hege; Karlsruhe: Schneider, 1913-1967: v. III, 270-72. Hesta, L. "De laatste bladzijde van de Geschiedenis der Out-Vlaamsche gemeente te Norden," Doopsgezinde Bijdragen (1895): 75-100. Hoop Scheffer, Jacob Gijsbert de. Inventaris der Archiefstukken berustende bij de Vereenigde Doopsgezinde Gemeente to Amsterdam, 2 vols. Amsterdam: Uitgegeven en ten geschenke aangeboden door den Kerkeraad dier Gemeente, 1883-1884: v. I, Nos. 1095, 1147; v. II, Nos. 1872, 2814-48. Müller, Johann Peter. Die Mennoniten in Ostfriesland vom 16. bis zum 18. Jahrhundert: aktemässige kulturgeschichtliche Darstellung. Emden: W. Haynel, 1887. Zondagsbode 17 (1903-4): Nos. 29-36. Hege, Christian and Nanne van der Zijpp. "Norden (Ostfriesland, Germany)." Global Anabaptist Mennonite Encyclopedia Online. 1957. Web. 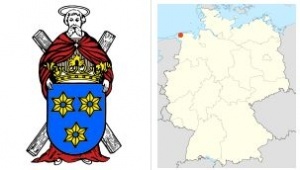 18 Apr 2019. http://gameo.org/index.php?title=Norden_(Ostfriesland,_Germany)&oldid=161247. Hege, Christian and Nanne van der Zijpp. (1957). Norden (Ostfriesland, Germany). Global Anabaptist Mennonite Encyclopedia Online. Retrieved 18 April 2019, from http://gameo.org/index.php?title=Norden_(Ostfriesland,_Germany)&oldid=161247. Adapted by permission of Herald Press, Harrisonburg, Virginia, from Mennonite Encyclopedia, Vol. 3, pp. 910-912. All rights reserved. This page was last modified on 28 July 2018, at 18:27.